I really love the science of baking and how all ingredients, when combined, makes for something very enjoyable. It truly is an exciting feeling when you see (and get to eat) the end result. I have been on this journey of recipe development for a while now and I am so thrilled with the results. I just love this dessert and it brings back so many childhood memories. It is so rich, and decadent and perfect for anytime of the year and no you don’t need a reason to indulge. There’s not much more to say because the proof is in the pudding. These are my first try at scones and I was very sceptical to try them, because I have had some scones that could be used as weapons. I’ve watched other make them and could not quite figure out what the trick was to making or mixing them. After much research I discovered it’s in the mixing or combining of the ingredients and the trick is not to over mix or over work the dough. To over work the dough would be great if you wanted to make bread but for this you want something that is light and fluffy. I love this strawberry sauce. It has such a pungent taste that I really enjoy and it balances the sweetness of pancakes, waffles and vanilla ice cream perfectly. It might even be a great addition to plain yoghurt. I also enjoy the fact that there are still chunks of fruit left in the sauce. This is my own combination of ingredients and if I must say so myself, I love the combination. 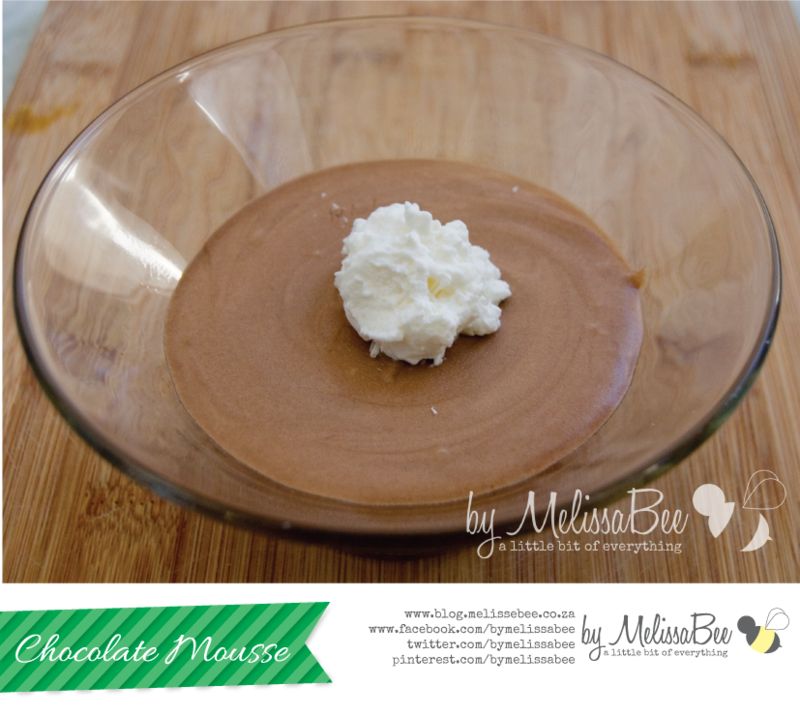 Try this delicious chocolate mousse recipe that will melt in your mouth. It is very easy to make and could be prepared a night before. Truly I will be making this often. It has no eggs, only chocolate and cream. Melt chocolate in a large heatproof bowl over a saucepan of simmering water (making sure the bowl does not touch the water). Beat cream in a bowl to soft peaks, then fold into the melted chocolate. 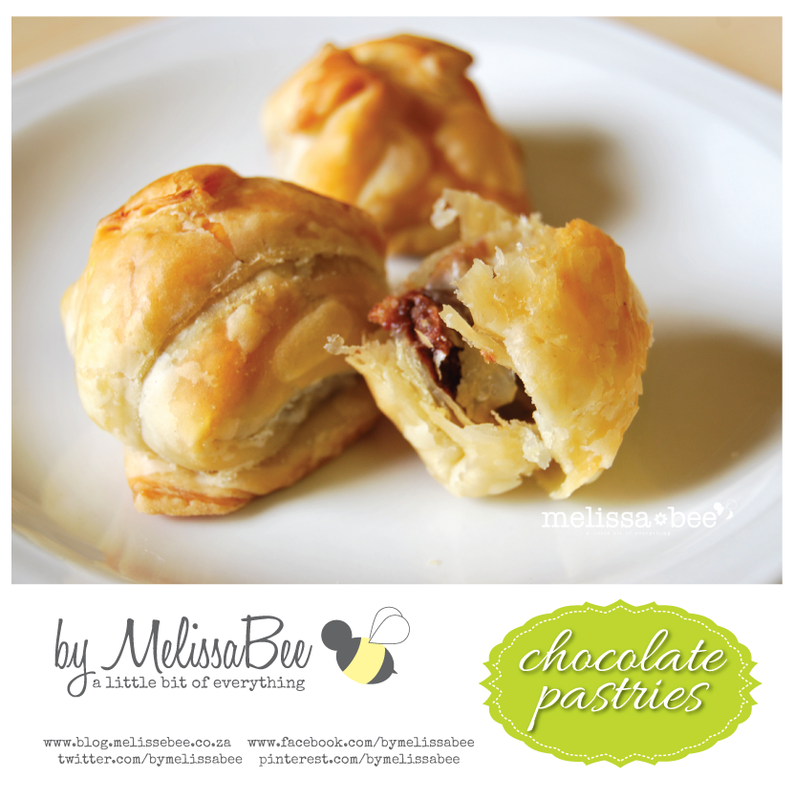 Try these delicious mini Chocolate ‘Croissants’. I say they are croissants but I made them using puff pastry and some left over chocolate. Roll out your puff pastry with a rolling pin. I use the whole sheet of pastry and then cut out squares of about between 7 and 8cm. Once you have a few squares place a chocolate block (or two) in the center and close them. You can use your imagination here, as long as they don’t leave a gap for the chocolate to escape. Place them on a baking sheet and bake them in a preheated oven on 180 degrees C for about 15mins or until golden. 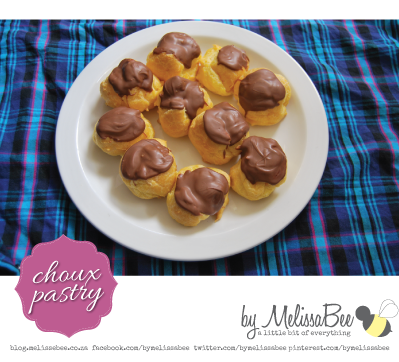 The first time I made choux pastry, I was a teenager just following a recipe that my older sister had given me. I remember the day she made these and I decided I wanted to do the same. Now every time I see these I think back to that time. I haven’t made them since and decided to just try it. I tried them again two weeks ago, and man did they flop. I forgot I needed to boil the mixture first before adding the flour, so I had a lovely pan cake mix. 🙁 The next batch wasn’t any different. I had to go through another mess before I came to the right method. It was a very frustrating night. I eventually remembered and here is the result. Lovely. I made a custard filling for these ones. You can add any type of filling, mine was custard which was made slightly thick. I used about a third of a 90g chocolate. Visit Melissa Martheze's profile on Pinterest.